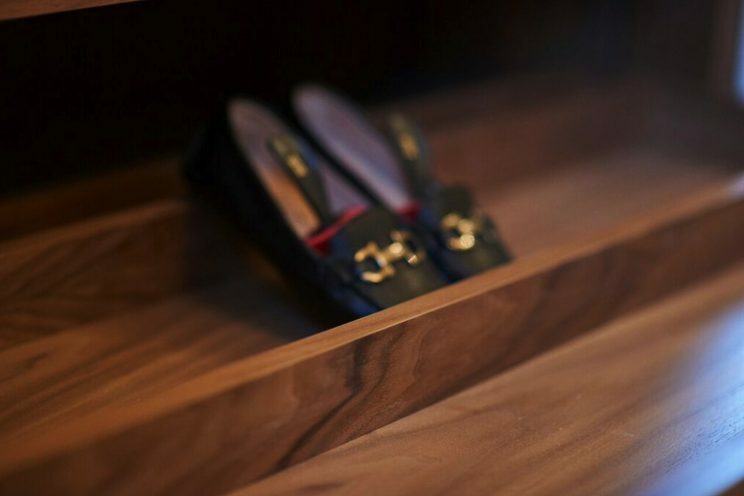 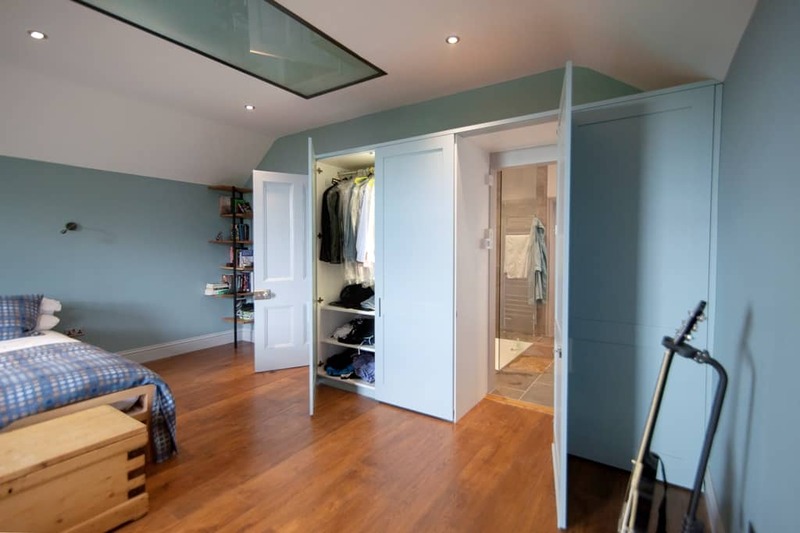 We crafted a series of storage solutions for a family who were renovating a large period property in Clifton, Bristol. The mirrored fitted walnut wardrobes grace an entire wall of the large, spacious dressing room/bathroom en suite to the master bedroom. 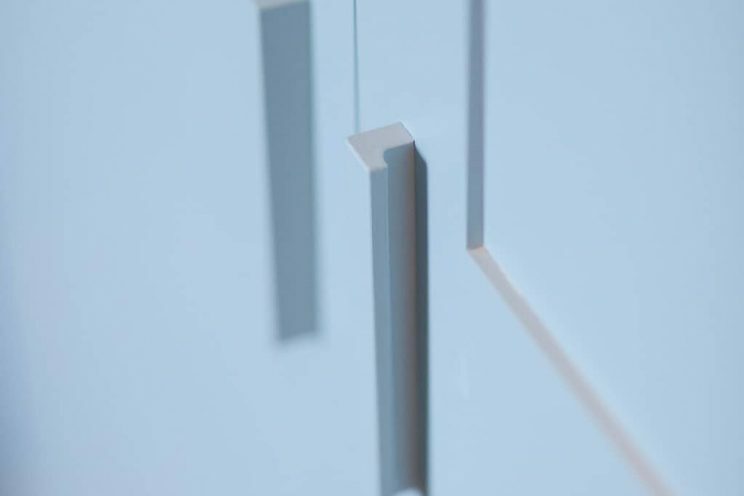 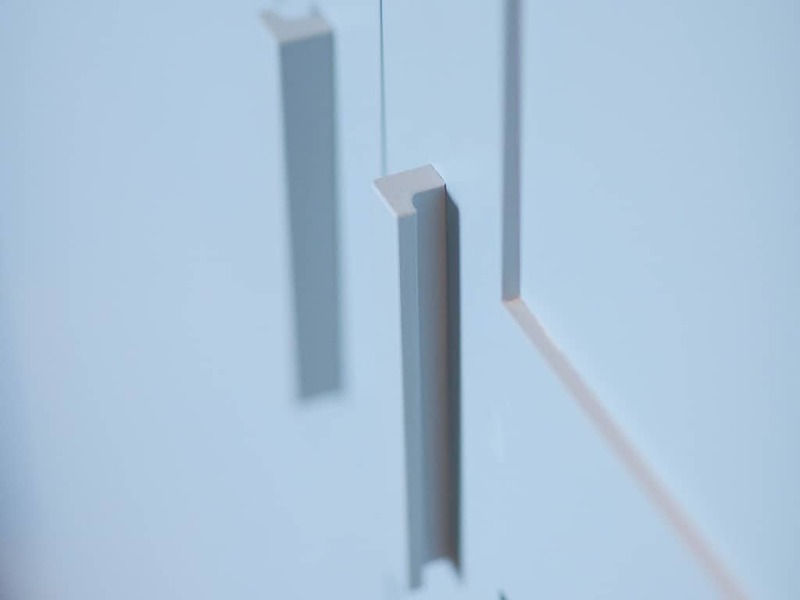 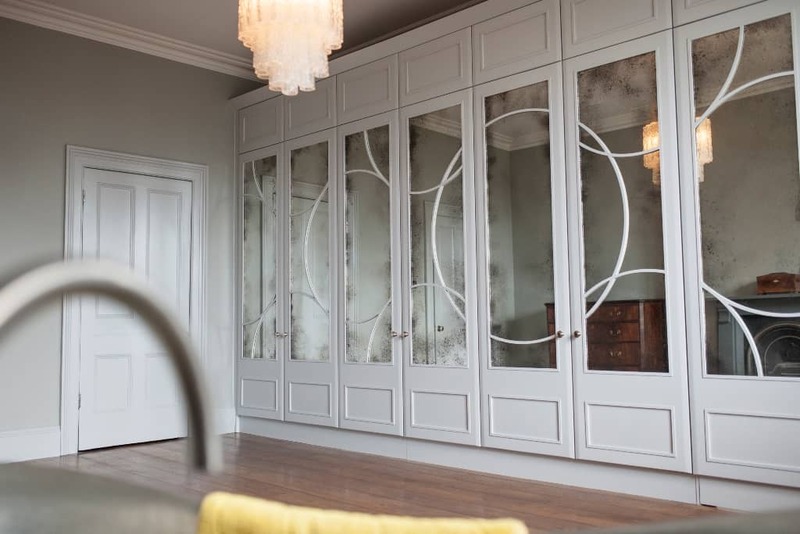 In the spring of 2015 Tom worked closely with our client on the design for these wardrobes. They exchanged mood boards and images of art deco style furniture, before arriving on a unique design that met the brief and would work in production. 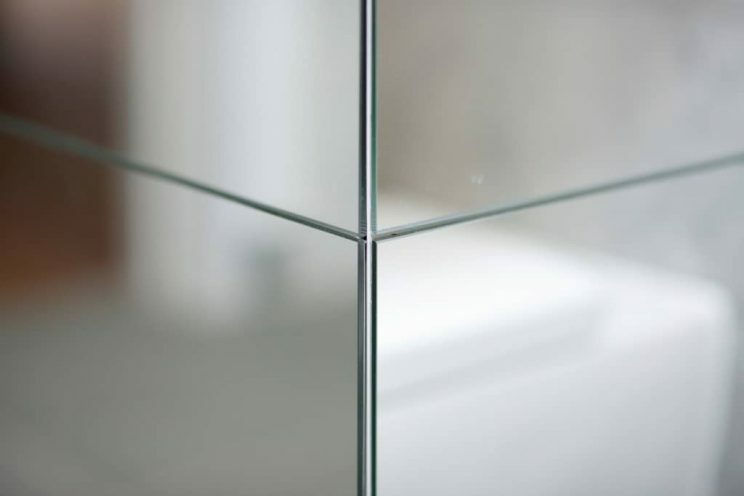 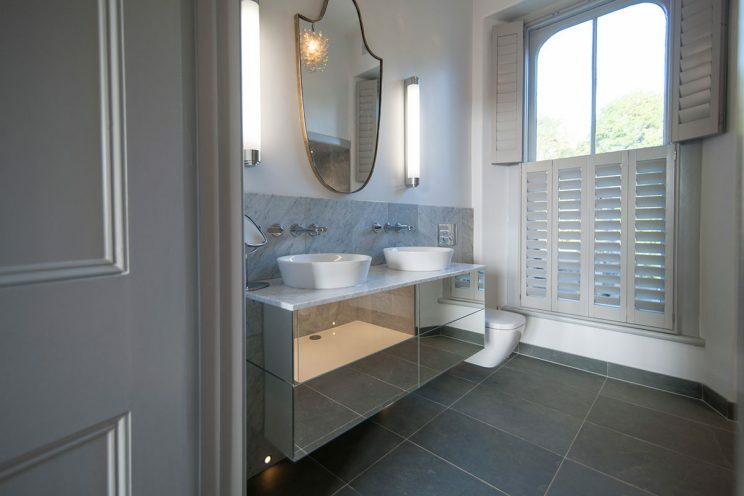 Our client incorporated antiqued glass mirrors in each panel; the overall effect is one of ethereal, timeless luxury. 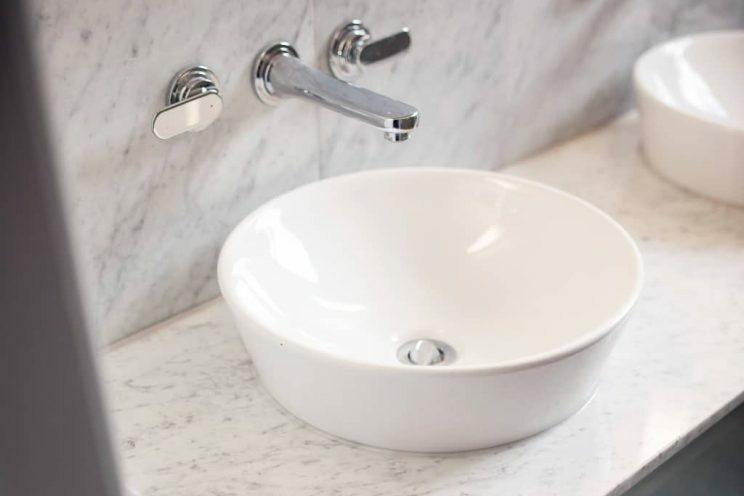 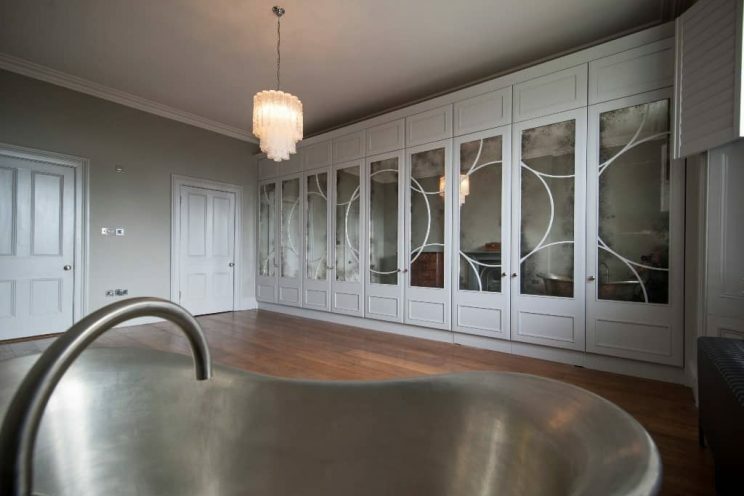 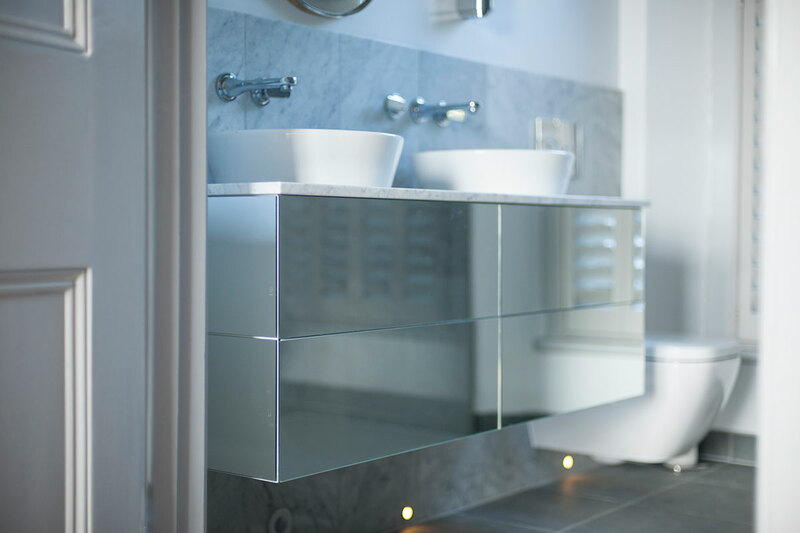 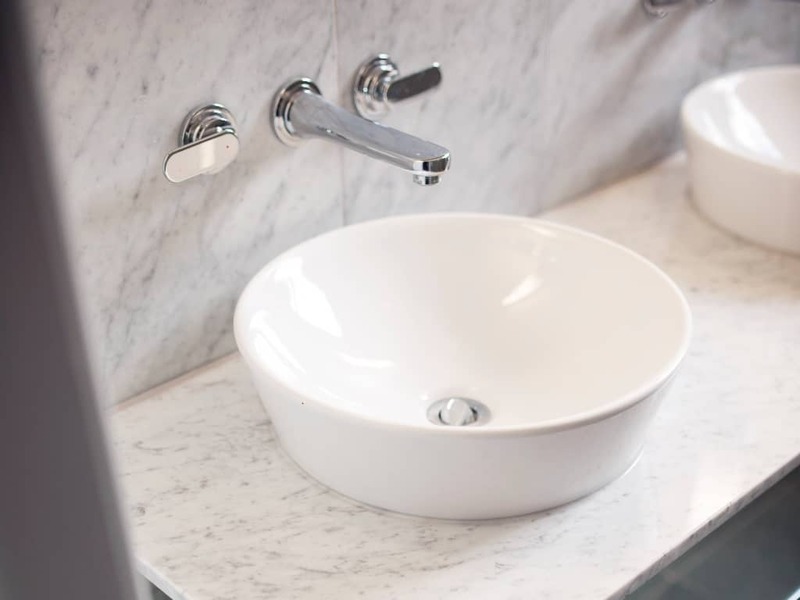 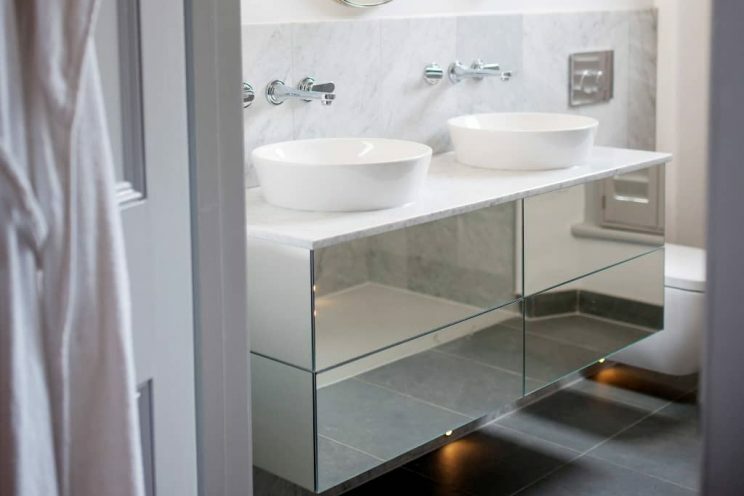 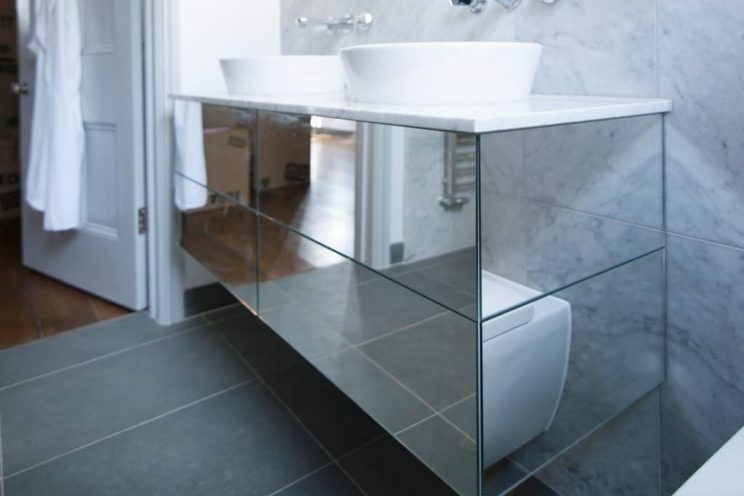 Our client specified a bathroom vanity unit as a storage solution for their Master bedroom en-suite with a mirrored finish and a beautiful Cararra marble top. 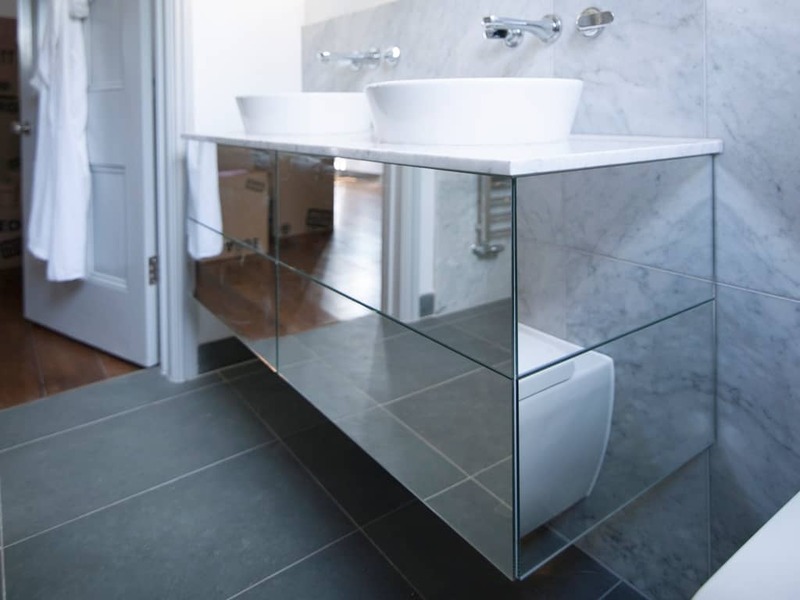 Fixing to the tiled wall and achieving the floating-effect of the cupboards proved fairly challenging due to the combined weight of all the materials. 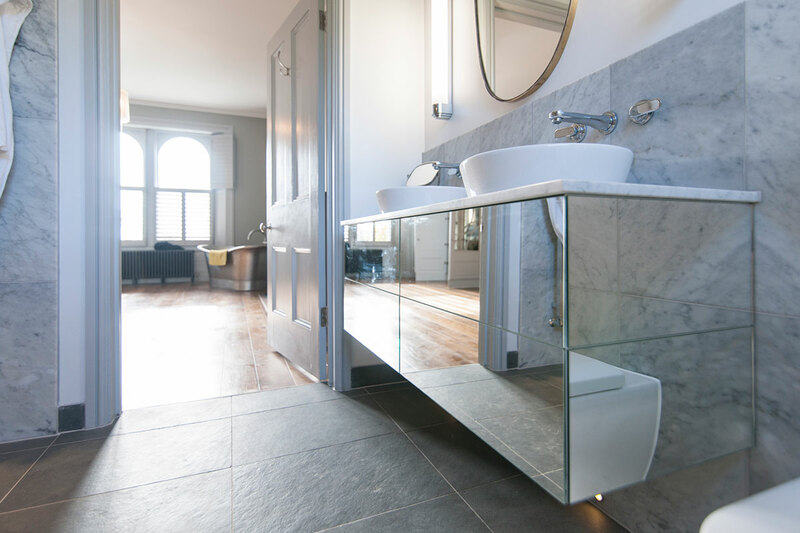 The team at Bath Bespoke incorporated a push-to-open drawer at the bottom, with a fixed panel above to conceal the sink waste pipes. 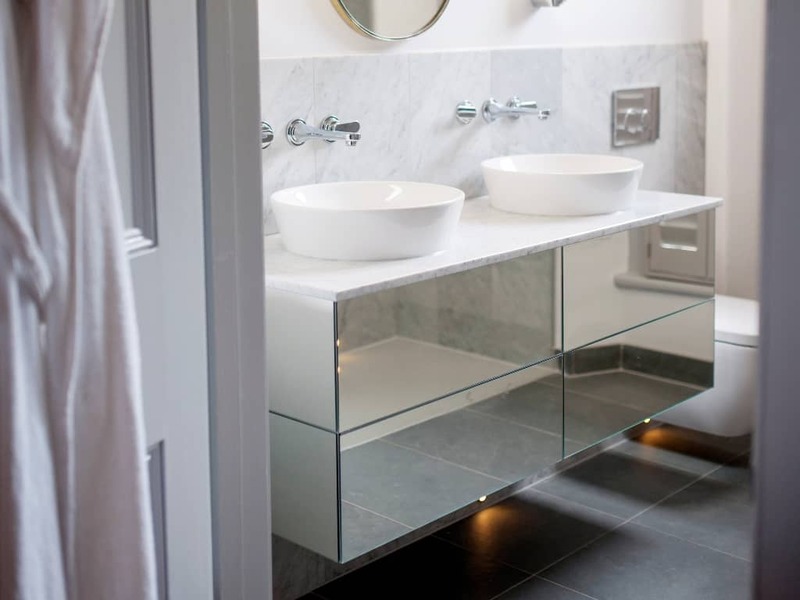 The finished result lends a contemporary, light and feminine feel to the bathroom. 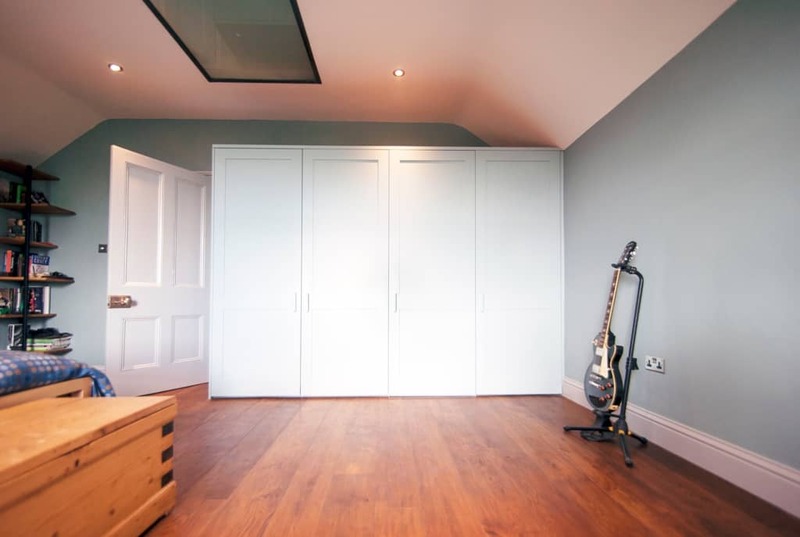 The simple fitted panel wardrobes also featured here were for a top floor bedroom in the same house. 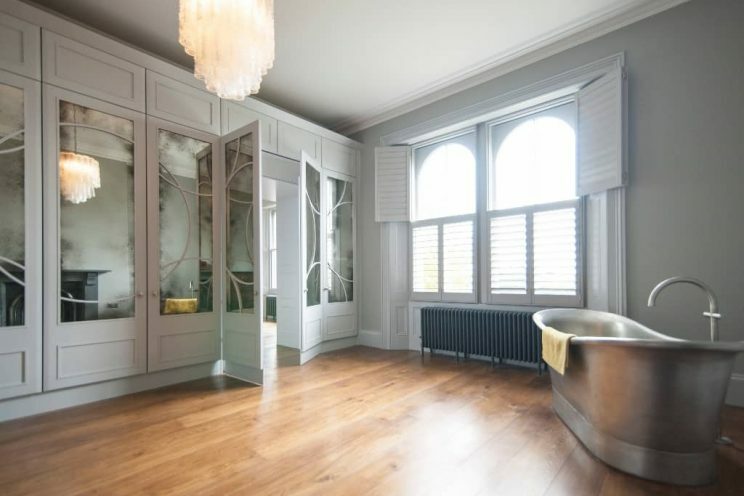 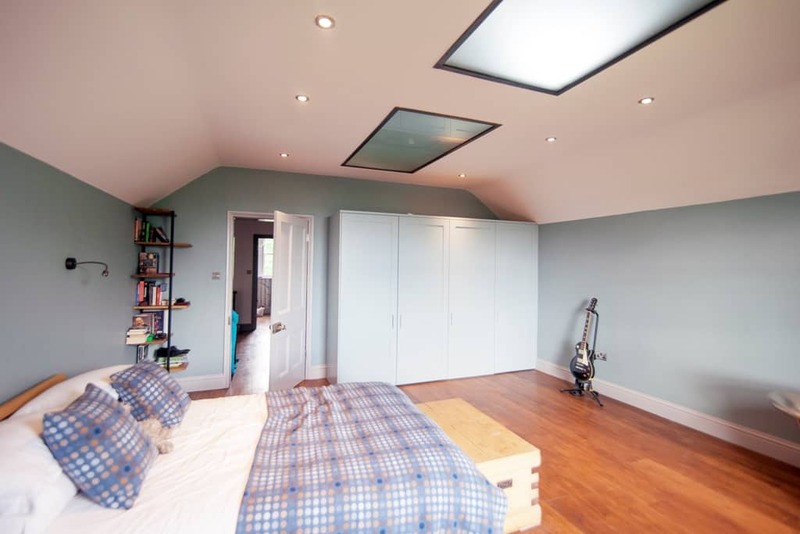 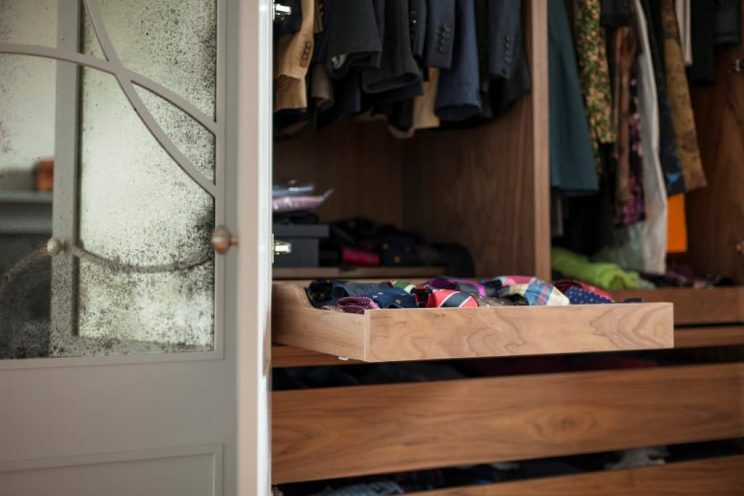 Our clients converted the top level of their beautiful home to offer three bedrooms; this one, for their teenage son incorporates a neat, hidden panelled door leading into an en-suite shower room. 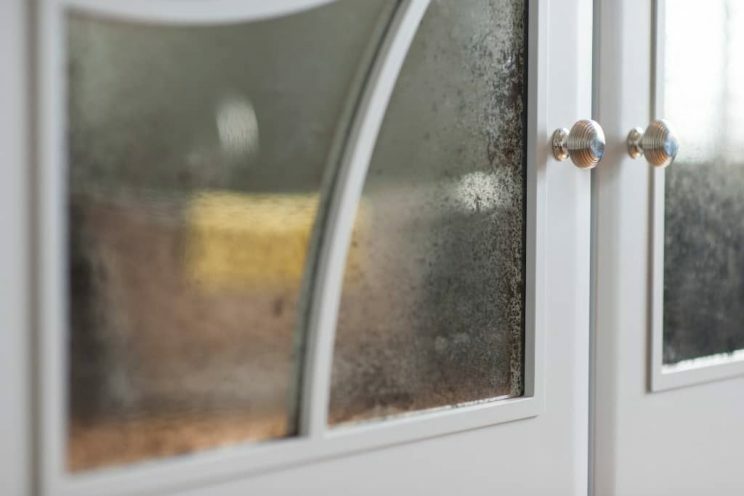 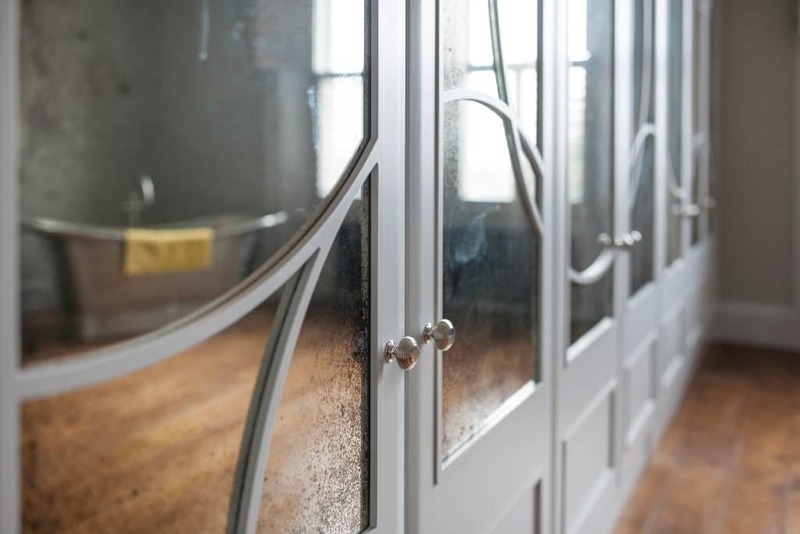 Taking our cue from the period features in the house we designed a run of four Shaker-style doors, with generous proportions, minimal fuss and detailing. 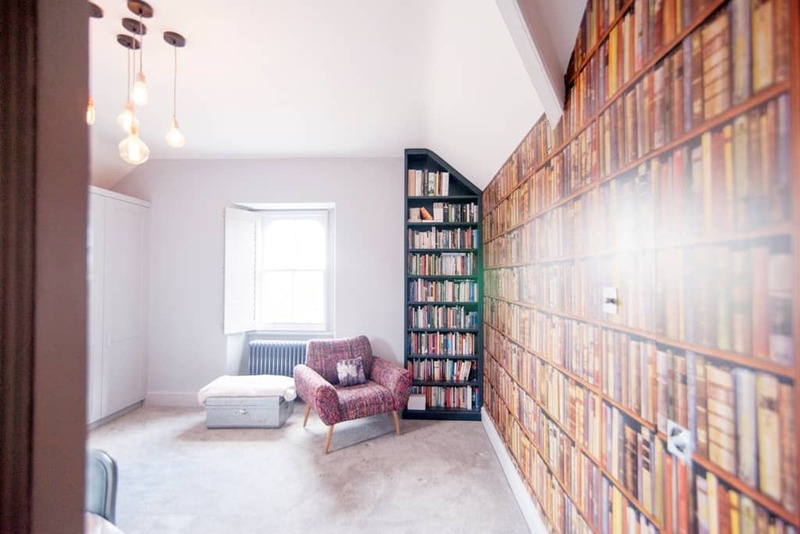 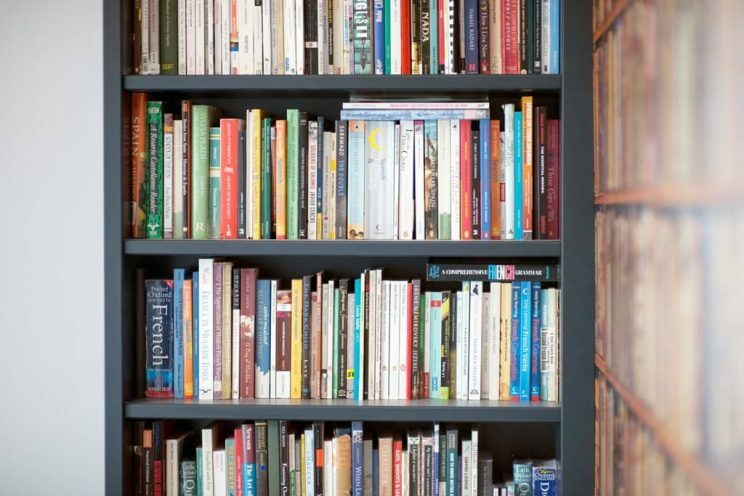 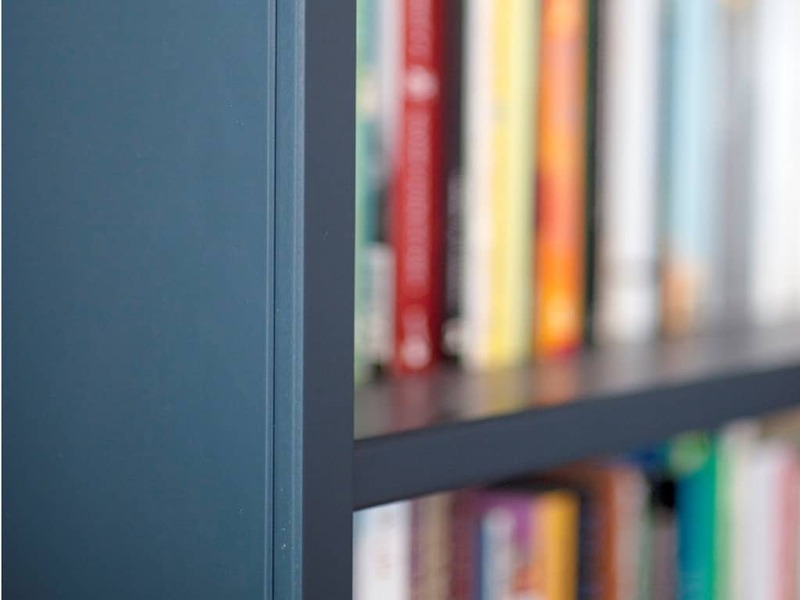 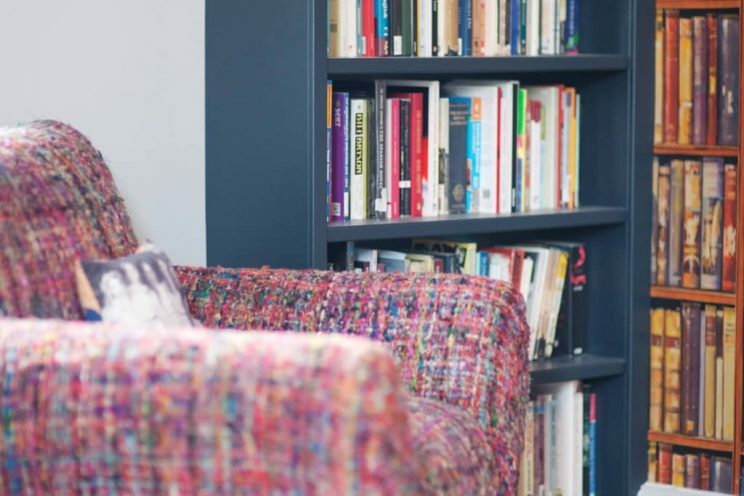 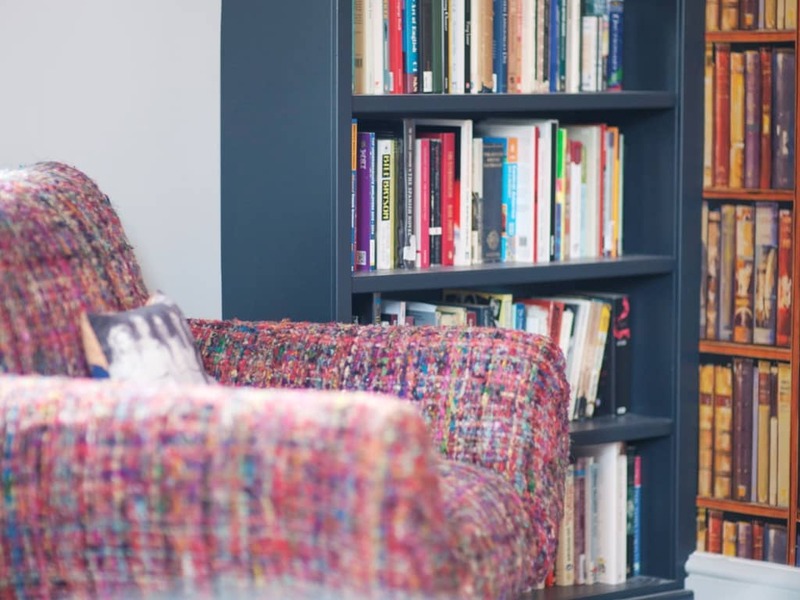 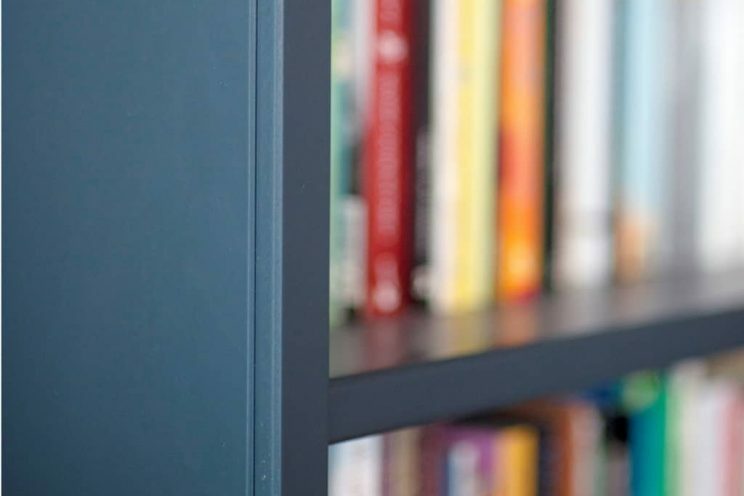 The final element of the project featured was another fitted wardrobe and a bespoke freestanding bookcase for an attic bedroom also pictured here – which works really well alongside the feature wallpaper in the room.